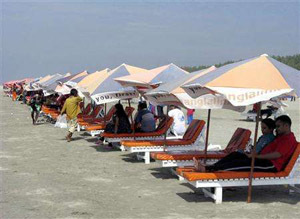 Bangladesh general information, about bangladesh, climate, people, bangladesh tour, dhaka tour, dhaka to chittagong tours. Rural Bangladesh feels relaxed, spacious and friendly: travelers from India have been agreeably surprised to find border officials offering them cups of tea rather than reams of forms to fill in. Bangladesh people are very friendly. Facilities are limited but if you have an independent streak, it's definitely worth avoiding the crowds heading to India and Nepal and following the slogan: 'Visit Bangladesh Touch the Color of Life……. The Bengal region has a multifaceted folk heritage, enriched by its ancient animist, Buddhist, Hindu, and Muslim roots. Weaving, pottery and terracotta sculpture are some of the earliest forms of artistic expression. 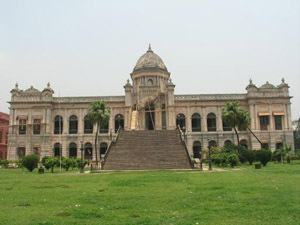 The best known literature of Bangladesh is the work of the great Bengali poets Rabindranath Tagore and Nasrul Islam. Folk theatre is common at the village level and usually takes place during harvest time or at melas (village fairs). There are many folk dances, but classical dance is largely borrowed from Indian models and is frowned upon by the more severe religious leaders. Bangladesh's Muslims and Hindus live in relative harmony. The Muslim majority has religious leaders, pirs, whose status straddles the gap between that of a bishop and that of a sage. Hinduism in Bangladesh lacks the pomp and awe of the Indian version, but consequently Hindu ceremonies are rarely conducted in the depths of temples to which access is restricted. People here are very willing for you to watch and even participate. Buddhists today form only a tiny minority of the population. It's worth noting that the Bangladeshi pride in ancestry is balanced by the Islamic slant of the country's intellectual life which tends to deny the achievements of the preceding Hindu and Buddhist cultures. Most of the tourists come to visit Bangladesh in the winter season (from October to February) when the weather is dry, fresh & cold. But rich with six seasons this exceptional country discloses her different beauties in every season. So tourists are welcome round the year to see & enjoy the different beauties… of the country. 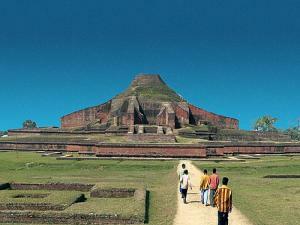 Chittagong, the second largest city of Bangladesh and a busy international seaport, is an ideal vacation spot. Its green hills and forests, its broad sandy beaches and its fine cool climate always attract the holiday-markers. Described by the Chinese traveler poet, Huen Tsang (7th century A.D) as "a sleeping beauty emerging from mists and water" and given the title of "Porto Grande" by the 16th century Portuguese seafarers. Chittagong remains true to both the descriptions even today. It combines remains true to both the descriptions even today. It combines the busy hum of an active seaport with the shooting quiet of a charming hill town. Chittagong is the country's chief port and is the main site for the establishment of heavy, medium and light industries. Bangladesh's only steel mill and oil refinery are also located in Chittagong. Day 03: CHITTAGONG-RANGAMATI - CHITTAGONG Departure from Chittagong for Rangamati at 07.00 Hrs Arrive Rangamati at 10.00 Hrs (77 Km) Visit: Kaptai lake boat trip, Tribal villages around the lake, Tribal King's House, Traditional textile Handloom factory, Tribal handicraft shop. Back to Chittagong at evening and Night Halt. DAY 05: BANDARBANS-CHITTAGONG - DHAKA - Departure from Bandarbans for Chittagong to connect Flight for Dhaka at 0700Hrs Connect Flight for Dhaka 11.35 hrs Arrive Dhaka 1205 Hrs. Transfer to Hotel and Night Halt. Note: Please contact exploretrek@wlink.com.np for more information and prices .